Today, email marketing software and services have replaced direct mailers. Email marketing provides valuable information, such as who is opening the emails, which links are they clicking and how many subscribers’ forward emails to friends. In addition, these services offer social networking buttons so sharing your campaign messages is easy. Through reporting features, you can find what is working and what is not, how to improve, and create surveys for customer feedback. Here are a few of the top email marketing companies, services and software programs that will help market your business, communicate with customers and subscribers. My current choice for email marketing, AWeber is one of the leading email marketing services. At 99% it has the highest email delivery rate in the business. The interface is minimal and user-friendly making it easy to create, schedule and send email campaigns. In addition, you can promote messages with Facebook and Twitter integration, as well as PayPal and Google Checkout. Autoresponders are sent immediately after a subscriber joins the list, and followed by a series of prescheduled emails. You will also receive detailed tutorials for setting up your AWeber account and best email marketing practices as well. Not only will GetResponse email marketing service support your contact list maintenance and marketing campaign development but it also provides information and tools on how to reach your audience more effectively. Reports are easy to understand with graphs and charts, marketing pieces are easy to create with embedded links, videos and social networking buttons. It is a bit complex to put files in the multimedia library and finding the search option for files is difficult. Auto-respond emails immediately generated after a subscriber has joined the list but unfortunately, GetResponse is not capable of sending auto-emails based on links people click. The new kid on the block that is quickly “stealing” customers from the rest of the veteran services, with some of the top bloggers and online marketers joining the service as of 2015. Follow the button below to see our review and promotional offer. Drip is a recent purchase by Leadpages. It takes email marketing to a whole new level of automation, starting from collecting the leads to creating triggers to tag your subscribers. Read more in our review. Whether you are an expert in email marketing and HTML or you have no experience and just started to create campaigns, iContact provides you will all the tools you will need. 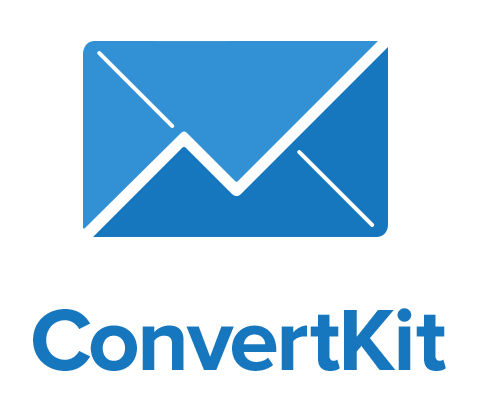 An intuitive and simple email marketing service that allows you to create, track and survey email campaigns. In addition, you can develop a marketing piece using a template or create one on your own with HTML coding. Reporting is relatively thorough but certain data elements are missing such as statistics about conversion. Constant Contact is an email marketing service that combines email campaigns and social networking efforts into an all-inclusive package. There are over 400 hundred templates offered, using your own HTML is optional and implementing CSS (cascading style sheets), XHTML or Designer mode to create marketing pieces is available. Additional features include surveys, video links, blog content, and images that allow consumers to interact with newsletters and messages. Although rich in features and easy to use, emails do not give Google Analytic reports, reporting options are limited and there is a monthly charge for survey preparation and implementation. Campaigner has the basic functions for monitoring and emailing marketing campaigns. Choose from over 500 templates or use the HTML option to make an original marketing piece. Use the creation wizard to avoid including content that is tagged spam and sent to junk mailboxes. The user-friendly dashboard summarizes current email campaigns and its success. There are several support and help features, such as quick-start guide, FAQs, a user manual, resource pages, tutorials and demos; however, their live chat option is not very thorough. Ideal for beginners, the simple, organized interface of StreamSend makes email marketing campaigns easy and quick. Upload contact lists with the Import Wizard, organize them into categories for specific target audiences or filter by age, geography and more. Although a strong, solid service it lacks help or support options, there are no video tutorials or live chat support, and the dashboard is a bit overwhelming with many features. Is Your Favorite Email Service Missing From The List? Contact Us And We’ll Find A Discount For You!